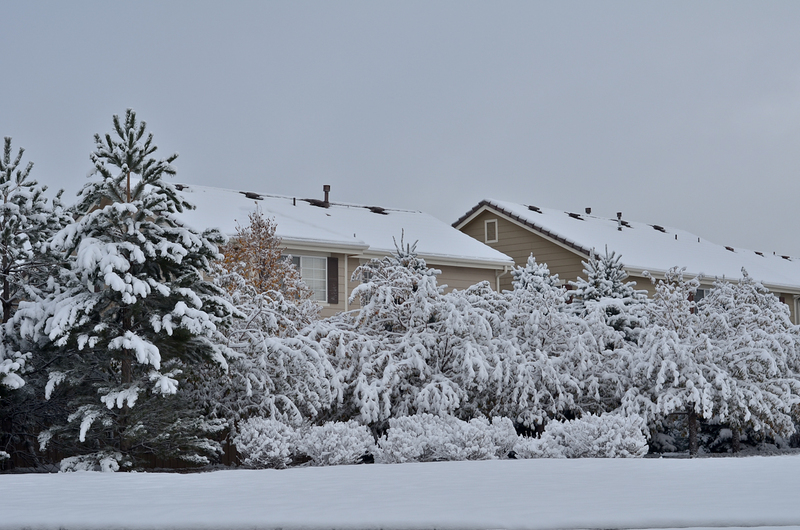 We had our first snow last week. 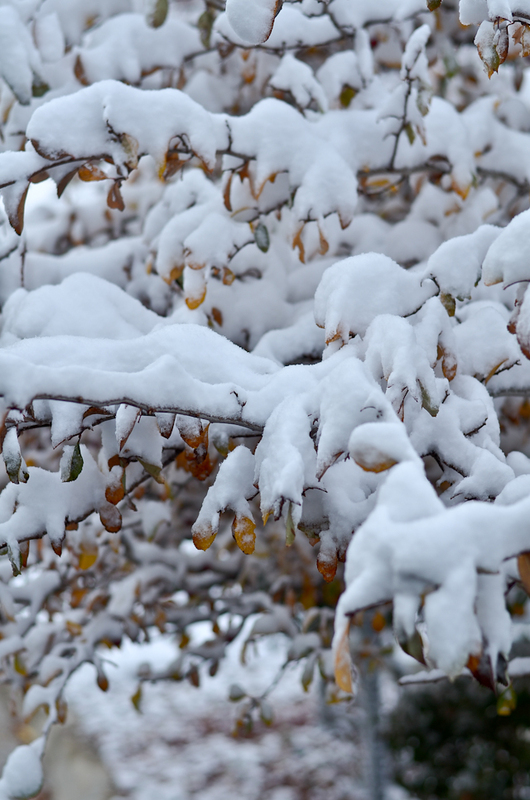 I am so not ready for the cold and the snow. 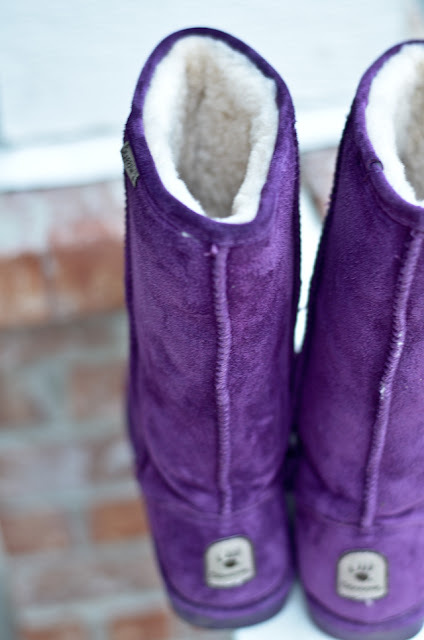 ... and I got to wear my new purple BearPaw boots, :). With the cold and snow came the desire to turn the oven again. I am trying to stay away from too much sweets so I thought bread is a good idea. So I made the Transitional German-Style Many Seed Bread from Peter Reinhart's Whole Grain Breads. I think PH calls this Transitional bread because it has 1/2 WW and 1/2 bread flour. It is funny though to have a bread with transitional in the name. Are you supposed to make it while you are in transition to something? Is making this will make you become in transition? 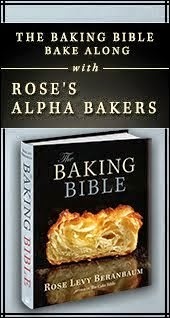 I do hope it will make me transition into a better baker :). 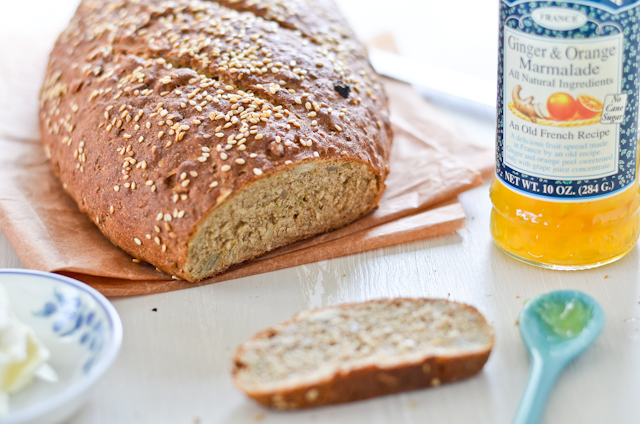 Even though the name is a mouthful, this bread is quite simple to make. It does require you to start the day before but that part is easy peasy. First you make the soaker. 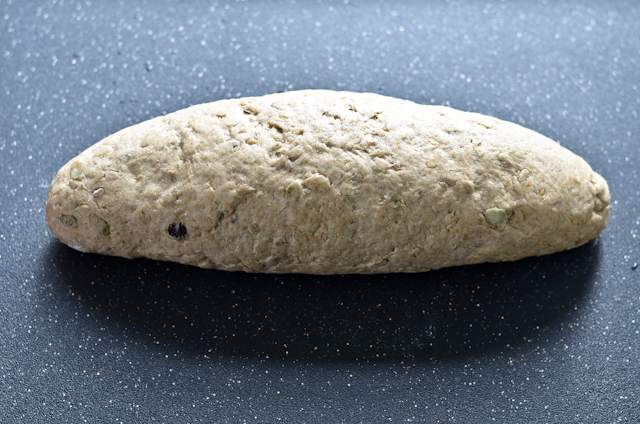 This calls for mixing WW flour, rye flour, flax seeds, water, and salt and letting it sit out at room temperature overnight. Then make the biga. This calls for mixing bread flour, water, and yeast. 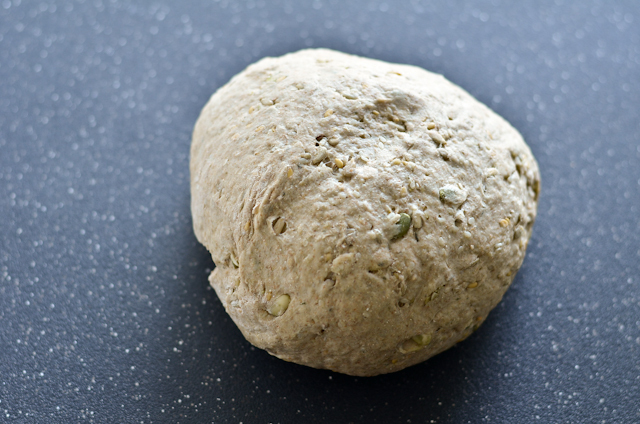 Kneading it a bit and then letting it rest in the fridge overnight. Next day, break the soaker and biga into several pieces, add them all to the mixer, add some yeast, honey, a bit more WW flour, salt, and the seeds. 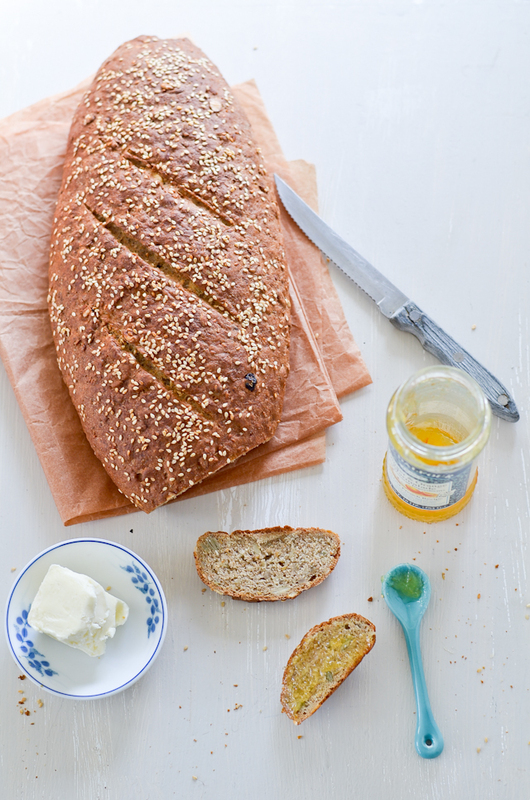 As its name, this bread does use a lot of seeds: pumpkin seeds, sunflower seeds, and sesame seeds. This is how the bread looks after 10 minutes in the mixer. According to PH, after 5 minutes in the mixer and further 5 minutes kneading by hand, the dough should pass the windowpane test. No disrespect to Peter Reinhart. I think he is awesome and I love his recipes. But I have never been able to get bread dough to pass windowpane test after 10 minutes. Not even for white breads. It took this bread 40 minutes mixing to get it to pass the test. 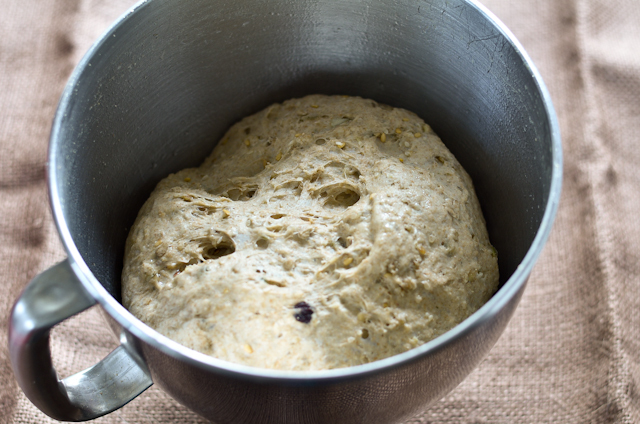 The bread is then stored in the oiled mixing bowl and let to rise. I cover it with a plastic bag and put it in the microwave for storage. About an hour later, it looks like this. I like the big holes on top! Then shaped into a batard. Ready for the 2nd rise. 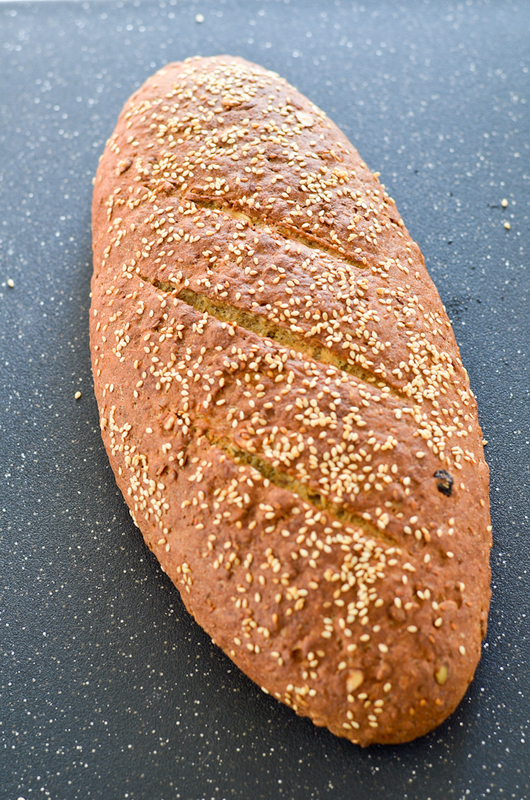 After the 2nd rise, brush the bread with water and sprinkle more sesame seeds for the pretty effect. Ready to be attacked err.. eaten. On a side note, have you ever had the St. Dalfour Ginger & Orange Marmalade jam? If you like ginger and orange, this one has a good taste of both. oooh I love the St Dalfour black cherry jam; I'll have to look for the ginger marmalade! The bread looks yummy and your photos are beautiful. Thanks ECL. I have to go try the black cherry jam now, :). CONGRATULATIONS THE BREAD LOOK VERY DELICIOUS !! BUT I HAVE A QUESTION PLEASE. AFTER 10 MINUTES IN THE MIXER. MY QUESTION IS :IN THE PHOTO I SEE THE PADDLE ATTACHMENT ?? OR I WILL PUT ON THE HOOK ATTACHMENT FOR KNEAD THE BREAD ?? A BIG THANK YOU FOR YOUR ATENTION. 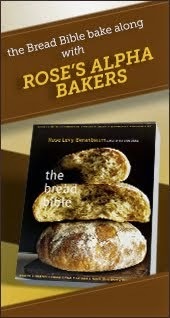 Congratulations the bread looks very delicious !! But I have a question please. 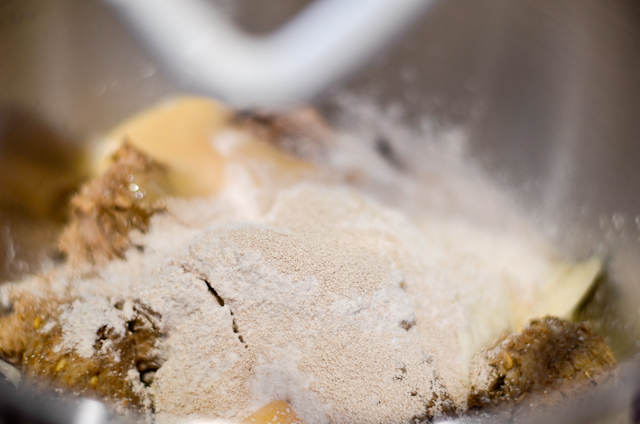 About the photo where you explain: this is how the bread looks after 10 minutes in the mixer. My question is: in the photo I see the paddle attachment?? Or I will put on the hook attachment for knead the bread ?? A big thank you for your attention. Thank you for commenting. I use the hook attachment for the bread. In the photo if it looks like it might be the paddle attachment because the photo captures the bottom part of the hook. Sorry for the confusion and thank you for visiting! Thanks for the bread making lesson? :-). I had to google the windowpanes test. Great looking bread! Yum!! Thank you so much for leaving comments. HCB continuation: Let's finish the book! All images on this website are property of knittybaker and licensed under Creative Commons License. Awesome Inc. theme. Powered by Blogger.